Whether your style is Mid-Century, transitional, boho, or something else entirely, you’ll fall in love with one of these chairs. Finding the perfect dining chair is no easy task. You want one that is comfortable enough for entertaining, but doesn’t invite guests to stick around into the wee hours of the night. Since chairs are the main focus of your serving space, you want to be sure that they make a statement. And when buying anything in multiples, you want to be absolutely certain you really love the piece. 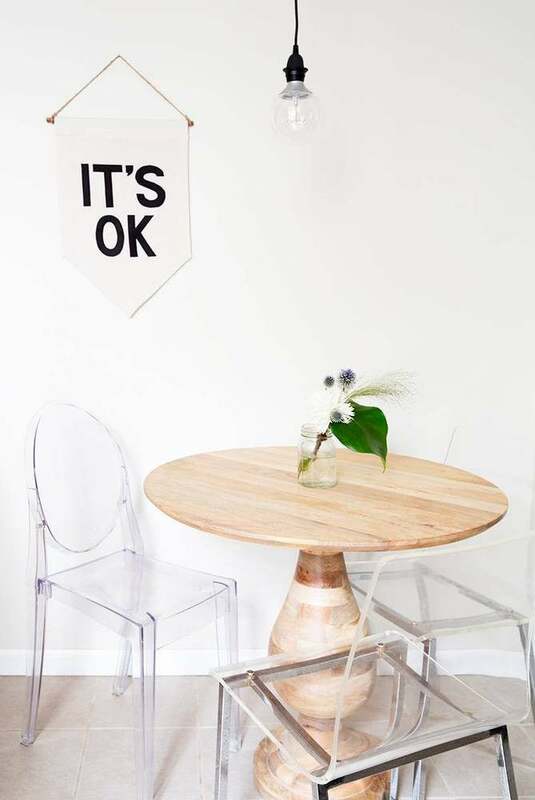 Lucky for you, we rounded up our top nine favorite finds for your space. If you fancy yourself a Francophile, these bistro chairs are for you. These blue and white beauties are sure to instantly transform your dining room. Pair them with a simple wooden table for a classic look. If you are working with a small space, consider going clear. These see through chairs take up less visual weight in your space, making them the perfect fit for your tiny apartment. This chair is chic without being stuffy. It can dress up a simple space or it can tone down a more extravagant one. It is the perfect piece for your family-friendly dining room. If you are looking to mix another material into your space, choose leather. Paired with medium wood tones, leather makes for a striking setting. This soft tan faux leather will update an already luxurious space. Nothing says “you’ve arrived” like gold furniture. This look makes every chair feel like a throne. These upholstered chairs are sure to add a touch of glam to your dining room. This regal look is feminine without being overtly so. I mean, check out those nail heads! Cut the sweetness of your space with a bit of black. These vintage-inspired chairs are truly iconic, and they aren’t too formal. They’re perfect for a kid-friendly abode. These Mid-Century chairs have a fun little twist: They’re a trendy shade of rose gold. These wired chairs pair perfectly with a slimmer dining set. Are these wishbone chairs on your “must have” list? If so, it’s time to stock up! These cool classics will add the right amount of wood to your dining room.